Everyone loves a challenge. Whether it’s yourself you’re challenging or others, there’s a strong sense of satisfaction finishing a challenge knowing that you’ve given it your all. So from fun colour runs to gruelling obstacle courses, it’s time to break from your comfort zone. Here are five Dubai fitness challenges to do this year. 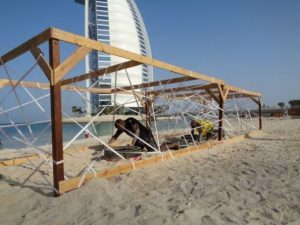 Talise Sandstorm pits yourself and a teammate against a 4km obstacle course that requires you to climb, crawl, run or jump through a series of challenges on the Jumeirah Beach Hotel’s beach. There are different heats for the competitive, intermediate and casual teams – so don’t worry if you’re a total newbie. A homegrown adventure-obstacle race at the Al Rawia Training Field for those looking to round up some friends and run, crawl, jump, carry and climb your way to the finish line. The 2016 rendition of the challenge will feature the ‘Mini Warrior’ race for kids and the 10km ‘Ultimate Warrior’ race for the adults. Oh, and if that’s not enough, they’re introducing the ‘Extreme Desert Warrior’ 20km course complete with 30 obstacles. A great beginner’s five-kilometre race for those who perhaps don’t run too often. 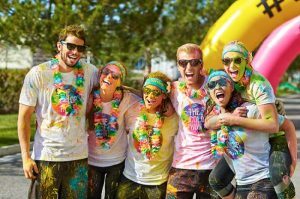 Colour Run is an untimed, unpressurised and family friendly event – which has drawn in over 55,000 people over the past three years. This year, the all-new Tropicolor Zone will feature as part of the race, where runners will pass through colourful palm trees, arches and music. 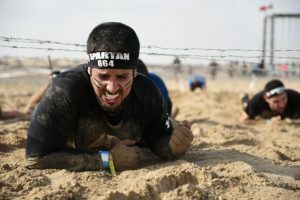 If you’re willing to make the trip to Sharjah, the Spartan Race features a number of different length obstacle courses, including the 5km Spartan Sprint with 20 obstacles, the 13km Spartan Super with 25+ obstacles and the 20km Spartan Beast with 30 obstacles. Each course is designed to push you to your limits – and there’s even a Spartan Junior for the young ‘uns. 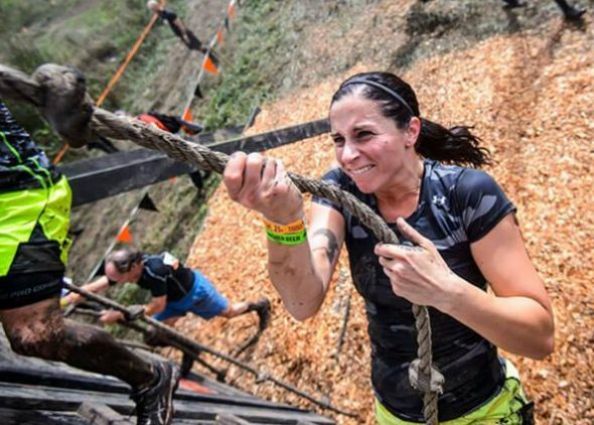 An obstacle-endurance course designed to really take you out of your comfort zone. Tough Mudder consists of an 8km and 16km course, packed with over 20 different obstacles and more than 500,000 gallons of mud and 40 tonnes of ice. Expect rope climbs, wall climbs and claustrophobic cage crawls on your back through muddy trenches with only inches of space to breathe.